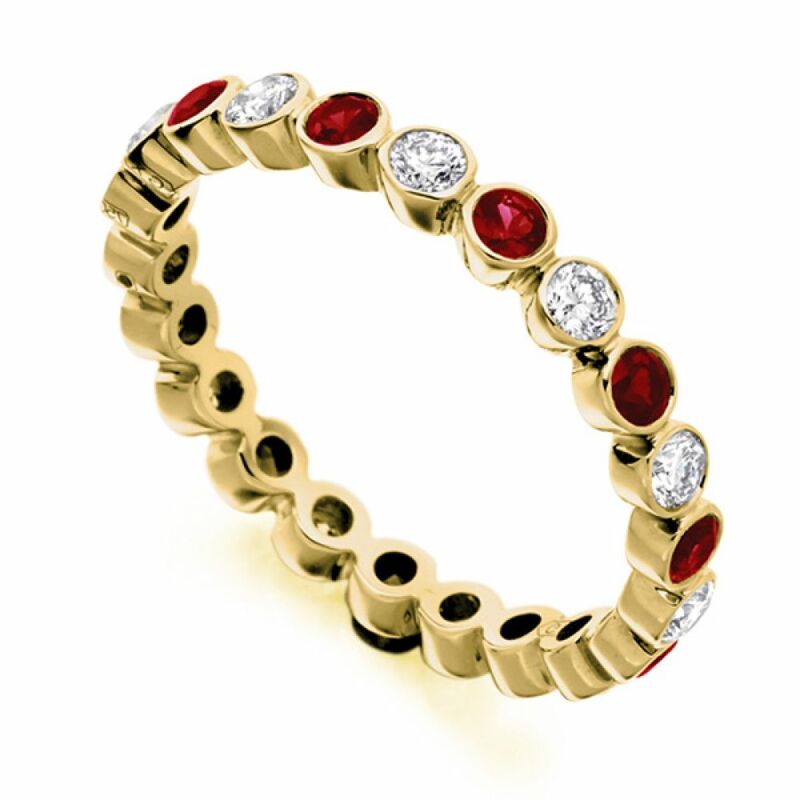 Alternating diamond and ruby full eternity ring, with 0.51cts of diamonds, and 0.59cts of rubies set into a 2.7mm wide band. This elegant Eternity Ring is timeless, featuring white Diamonds and red Rubies bezel set around the whole of the 2.70mm band. There are 0.51 Carats in total of Diamonds set into this piece and 0.59 Carats of Rubies. Each individual stone is matched perfectly and then precision set into an individual bezel. The Diamonds have been graded F/G Colour and VS1 Clarity prior to setting. Available beautifully finished in any of the following precious metals, 18ct White Gold, 18ct Yellow Gold, 18ct Rose Gold, 950 Platinum, and 950 Palladium. Arrives at your door in just 3-4 weeks within our secure luxurious bespoke packaging.